Kimchi is so delicious, commonly served as a side. 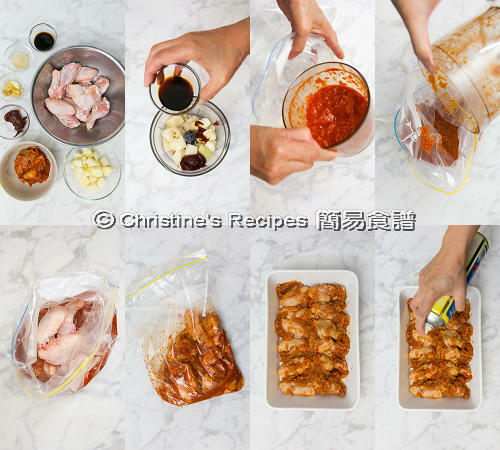 Ever tried using Kimchi to marinate chicken wings? Kimchi can bring so much flavours into the chicken meat. 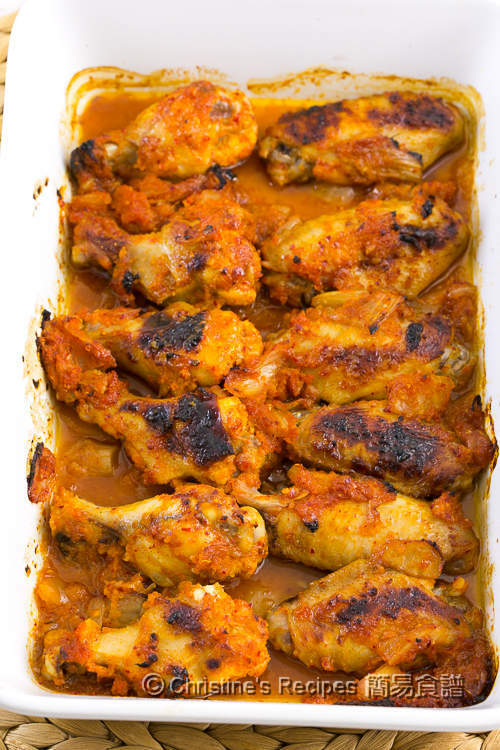 This baked Kimchi chicken wings dish is so simple and easy to make. 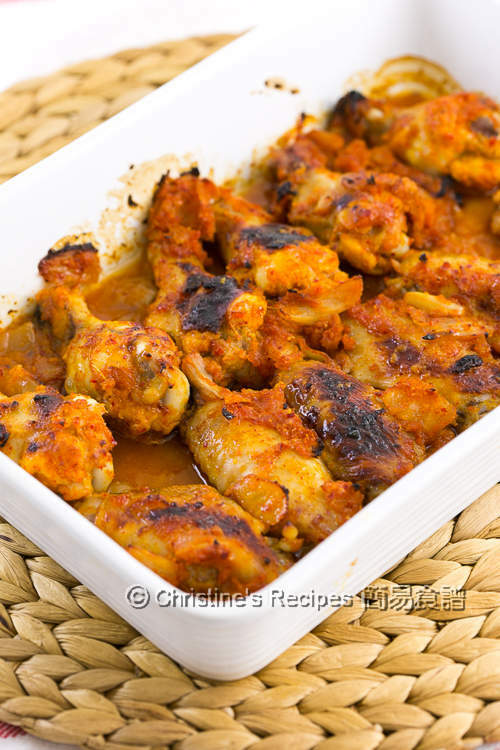 Simply put the marinated chicken wings in a preheated oven. Then you can sit back and relax. You’ll enjoy tasty and juicy chicken wings within half an hour. A pear is mixed in the marinade that helps soften and enrich the flavours of the whole dish. Every mouthful is delicious. The meaty chicken wings absorb all the flavours of saltiness, tanginess and sweetness of Kimchi making all your taste buds dance in every bite. This dish can be served on its own. It’s also good to be served with steamed rice or salad. Rinse and wipe dry the chicken wings. Set aside. In a food processor, process all the marinade ingredients into a paste. Transfer into a ziplock plastic bag. Put in the chicken wings and Kimchi. Mix them well. Marinate for about 30 minutes. Place the chicken wings, Kimchi with the marinade into a baking tray. Put the tray on the middle rack of the preheated oven and bake for 20 minutes, or until cooked through. Transfer the tray to upper rack and grill on high for 3 to 5 minutes, until the chicken skin turns golden brown. Serve immediately. You can marinate the chicken wings well in advance and store in fridge. When you’re ready, let the chicken wings rest at room temperature for about 15 minutes before baking. Kimchi and hot pepper paste (gochujang) are staples in Korean cooking, available at Korean groceries. You can make your own Kimchi at home. Here’s the homemade kimchi recipe. The amount of raw sugar depends on how sweet your pear is. If you use a very ripe pear, you can simply skip the sugar. wow big bold flavour and so delicious! Yes, we just love it, Angie. Hi, may I know which type of pear did you use? I used Williams pear this time.